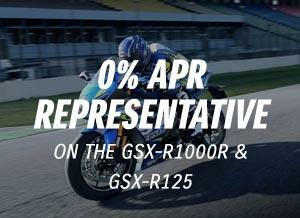 *This offer applies to new purchases of the V-Strom 1000/XT purchased from an authorised Suzuki Dealership and first registered between 18/01/2019 and 31/03/2019, valid in the UK only. The offer can be extended or withdrawn at any time without prior notice. The offer includes a Suzuki Genuine Black Alloy Side Case Set ordered from your Authorised Suzuki Dealership. There is no cash, credit or other alternative offered. Promoter: Suzuki GB PLC, Steinbeck Crescent, Snelshall West, Milton Keynes MK4 4AE. **This offer applies to new purchases of the V-Strom 650/XT purchased from an authorised Suzuki Dealership and first registered between 18/01/2019 and 31/03/2019, valid in the UK only. The offer can be extended or withdrawn at any time without prior notice. The offer includes a Suzuki Genuine Black Alloy Top Box ordered from your Authorised Suzuki Dealership. There is no cash, credit or other alternative offered. Promoter: Suzuki GB PLC, Steinbeck Crescent, Snelshall West, Milton Keynes MK4 4AE. ***This offer applies to new purchases of the V-Strom 250 purchased from an authorised Suzuki Dealership and first registered between 18/01/2019 and 31/03/2019, valid in the UK only. The offer can be extended or withdrawn at any time without prior notice. 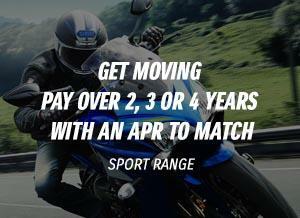 The offer includes up to £250 RRP off Suzuki Genuine Accessories ordered from your Authorised Suzuki Dealership. There is no cash, credit or other alternative offered. Promoter: Suzuki GB PLC, Steinbeck Crescent, Snelshall West, Milton Keynes MK4 4AE.